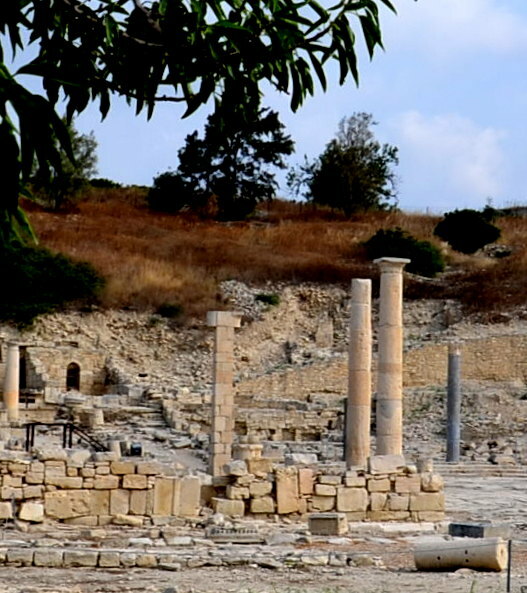 The people are friendly and strong and their faces showed so much character as Cyprus has existed for 10,000 years and it is still glorious, triving and beautiful today. 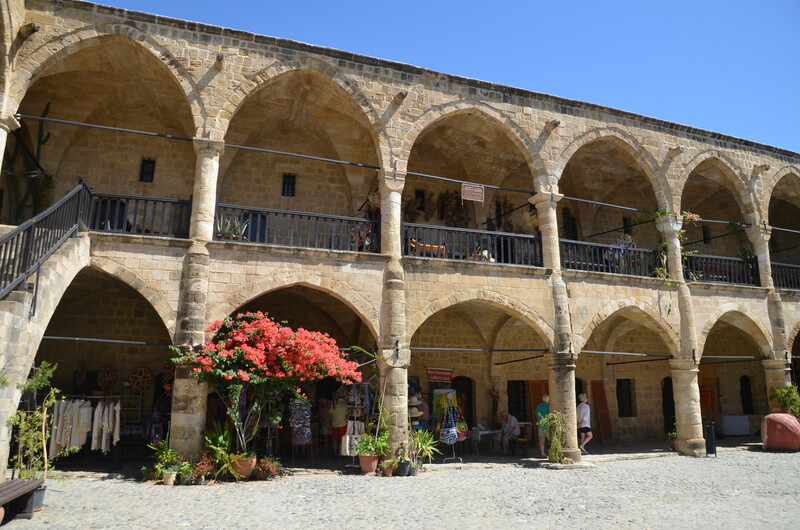 As we traveled east, west, south, and north and many places in between to see as much of Cyprus and the people as we could, we saw much of what Cypriots have experienced through the years. White and pink oleander bushes, white, pink, and red bougainvillea trees and white and pink petunias were in bloom all over the island, making for magnificent and glorious scenery everywhere we went. 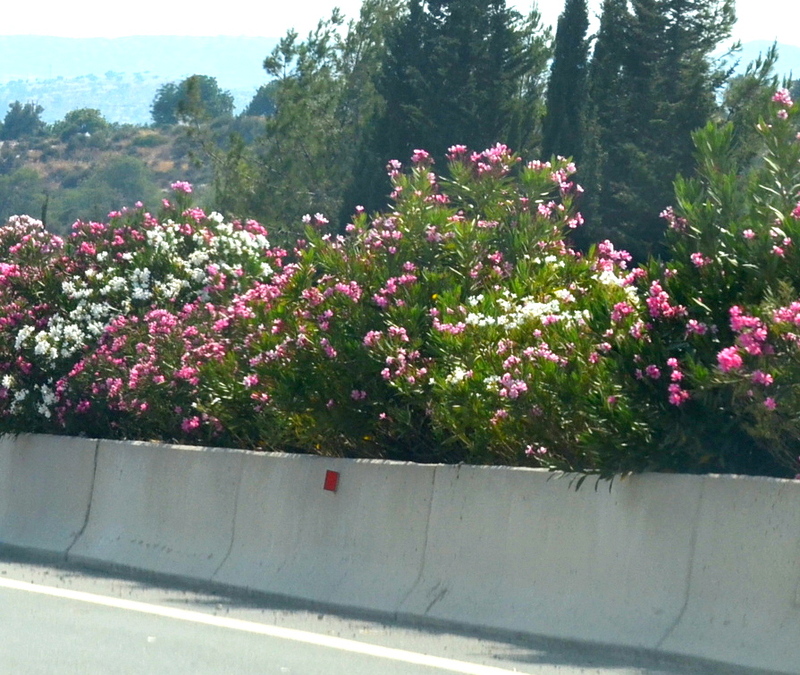 Every median of the major highways were full of white and pink blooming oleanders as far as the eye could see. 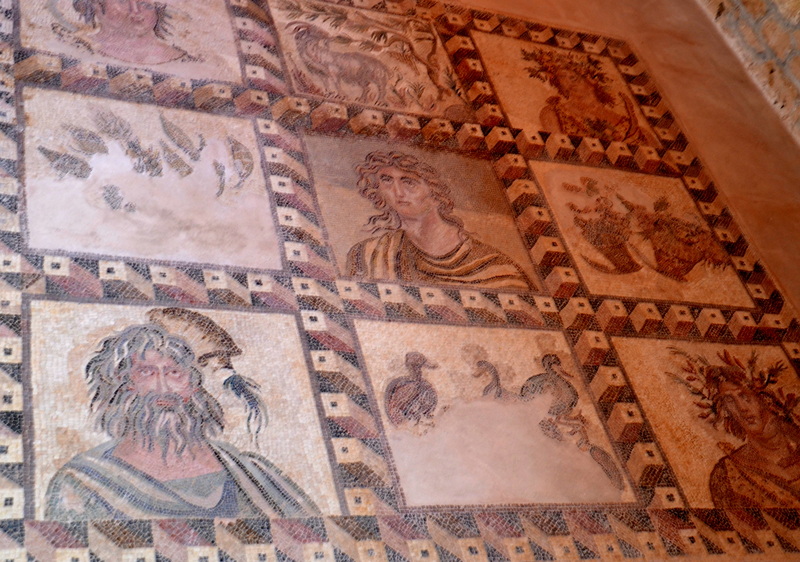 Not only does Cyprus have many beautiful flowers, people and beaches, it also has many ancient ruins like the mosaics in the House of Dionysos in Paphos, a UNESCO World Heritage site. 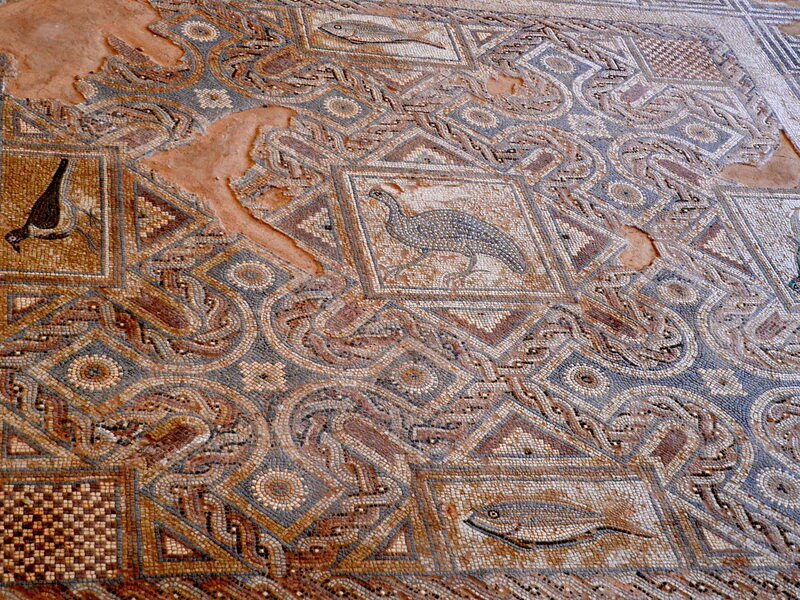 Mosaics depicting scenes from Greek mythology have remained in almost perfect condition since the 2nd, 3rd and 4th centuries AD. As the only island located close to the continents of Europe, Asia and Africa, Cyprus sits in a strategic position to all of them. 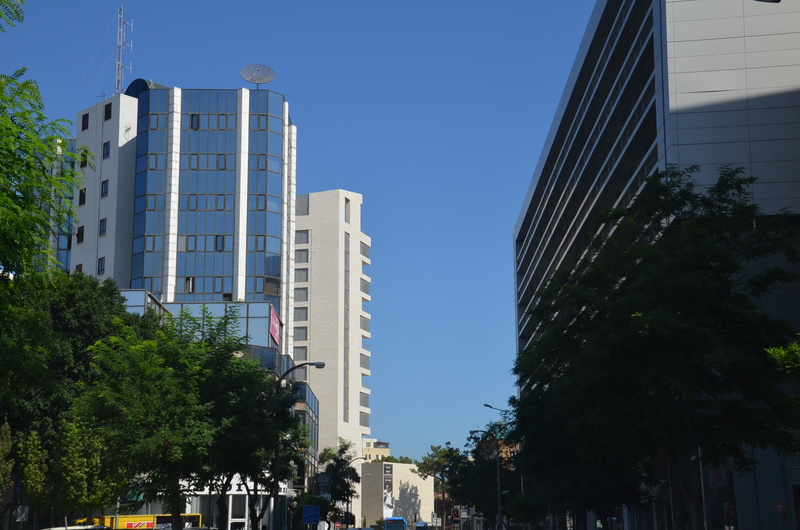 Today, Cyprus is divided into 3 countries, the Republic of Cyprus and the Turkish Republic of Northern Cyprus and the British Sovereign Base areas of Akrotiri and Dhekelia, and the divided capitol is Nicosia. The United Nations is working on a solution between the two. 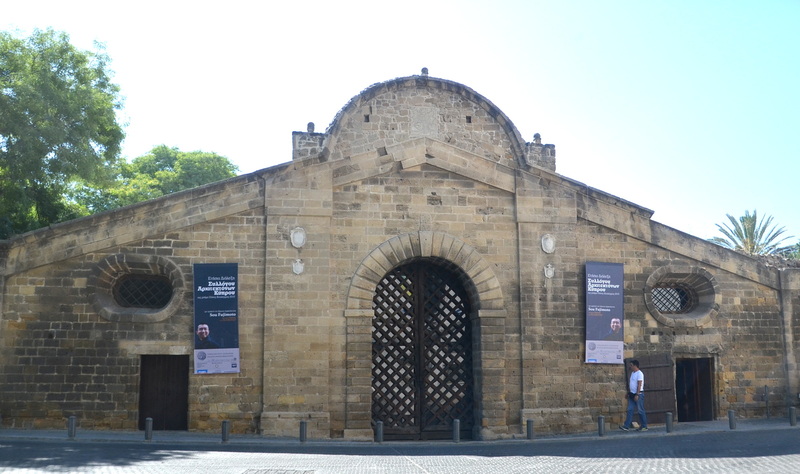 The island has many modern buildings with many remembrances of the past, like the Famagusta Gate and the old walled city with a moat that now serves as parks, tennis courts, playgrounds and event areas in Nicosia. 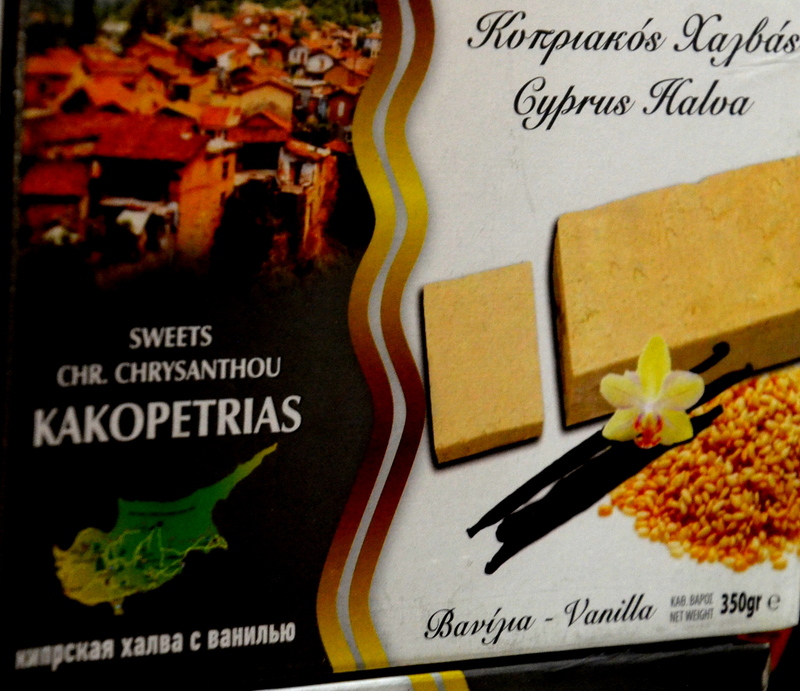 Halloumi cheese is made every day in the villages and enjoyed by many happy customers. 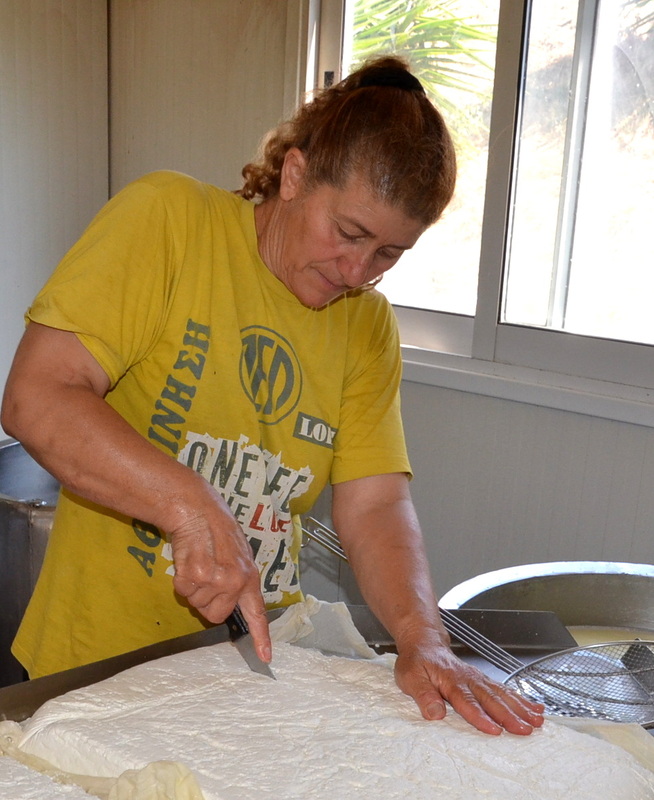 Loulla Euthemiou and her family milk 200 goats daily and then make the cheese for sale to customers. 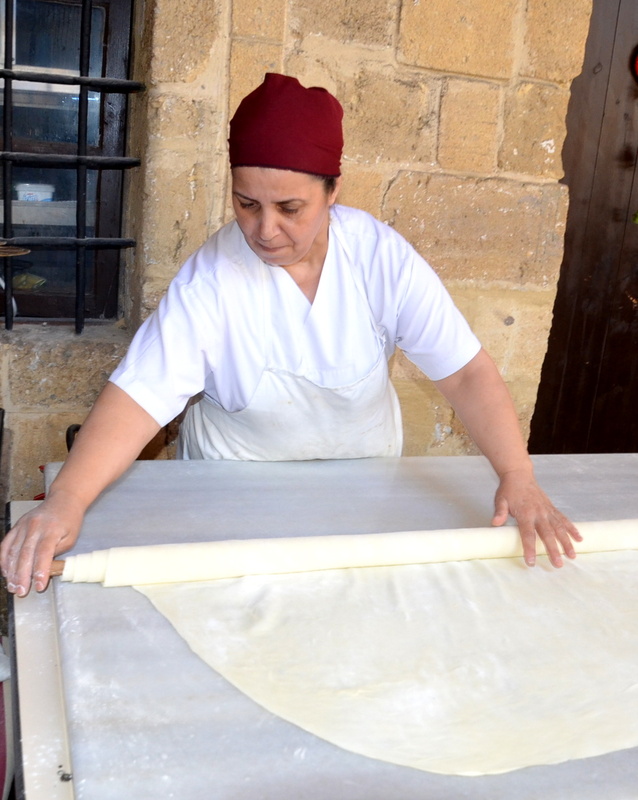 She has being making the cheese with pride all of her life for her many customers. 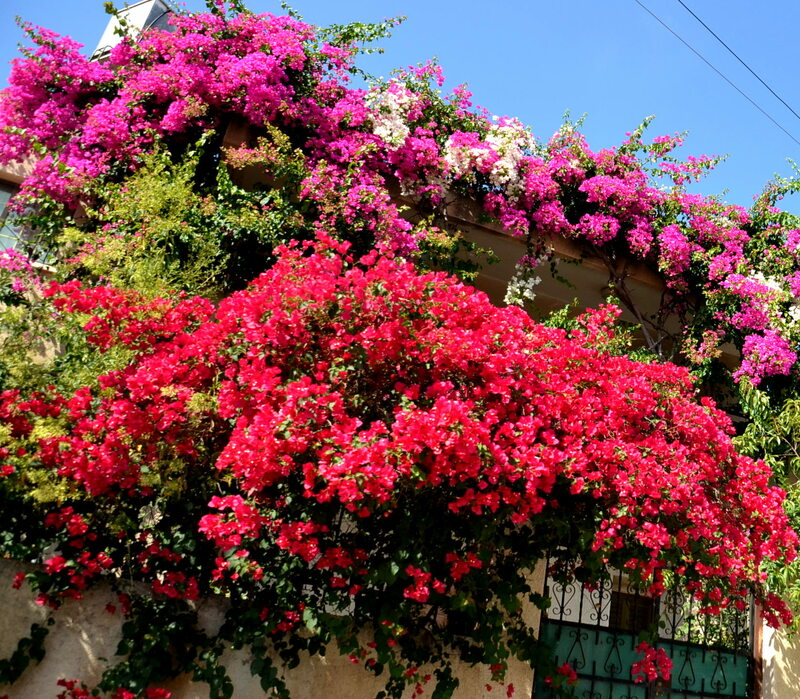 Every March, Yiannis Christofi gets out the dirt, fertilizer, baskets and tools and makes hanging baskets full of white and pink petunias. 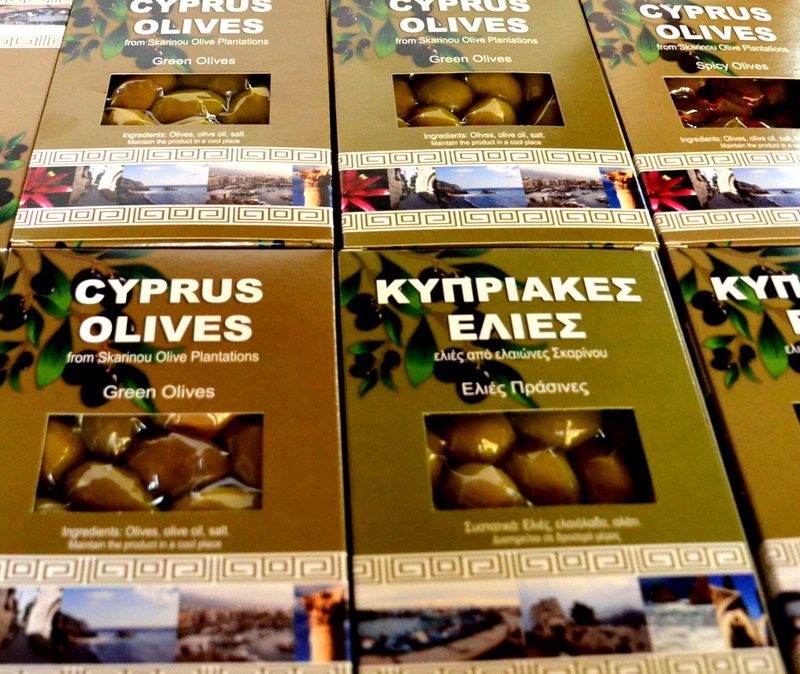 And he makes basket after basket until he has 800-2,000 of them to decorate his family restaurant in Doros, Cyprus. Many of their customers come to eat breakfast, lunch and or dinner and leave with one of those baskets costing 15-20 Euros each. 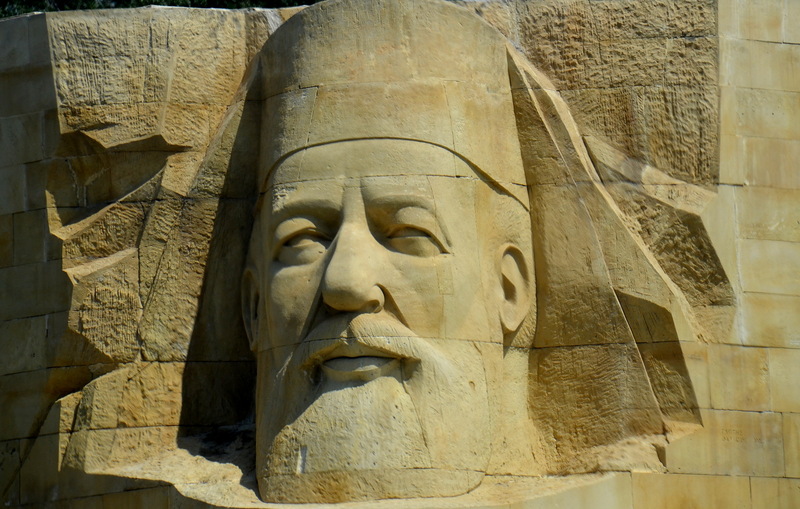 Loved by so many of his Cypriot citizens, First Cyprus President and Archbishop Makarios and his glorious statues can be seen all over Cyprus for his admiring followers to remember him. This one in the mountains is 10 meters tall (32 feet) and can be seen for many miles. 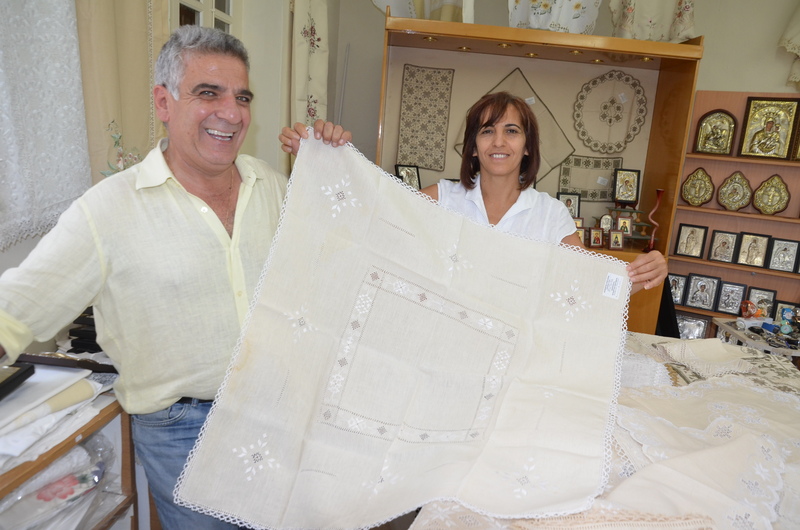 Savvas and Froso Iacovou and their families make and sell the famous handmade Lefcaritika lace in Lefkara. And they also sell and make silver objects and jewelry. 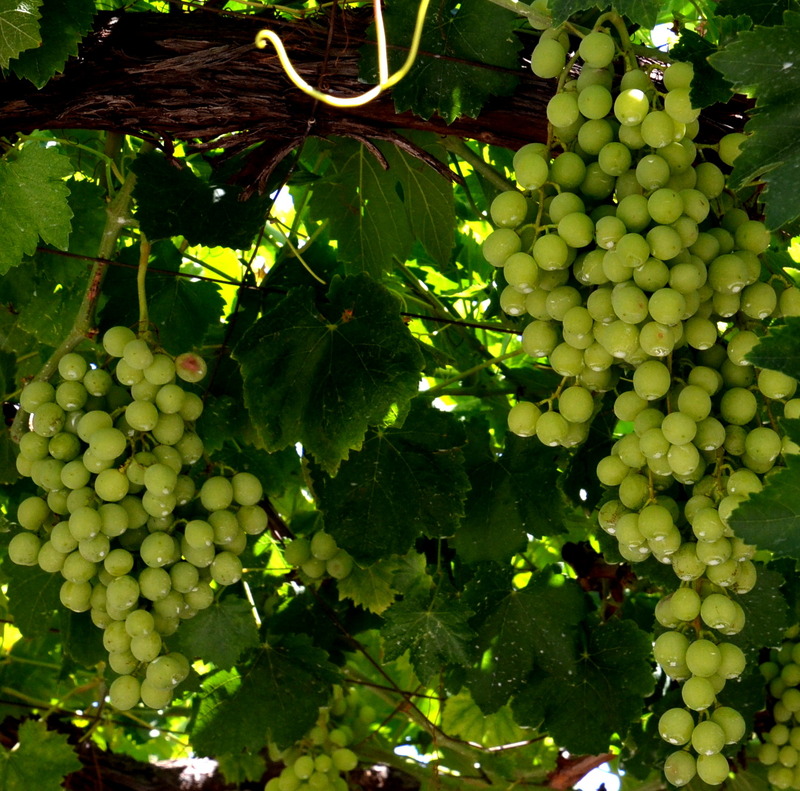 Wine is an important part of the outstanding Cypriot cuisine and we visited several wineries in Monasteries and private estates. Reasonable priced, we were able to enjoy a bottle or two during our visit. 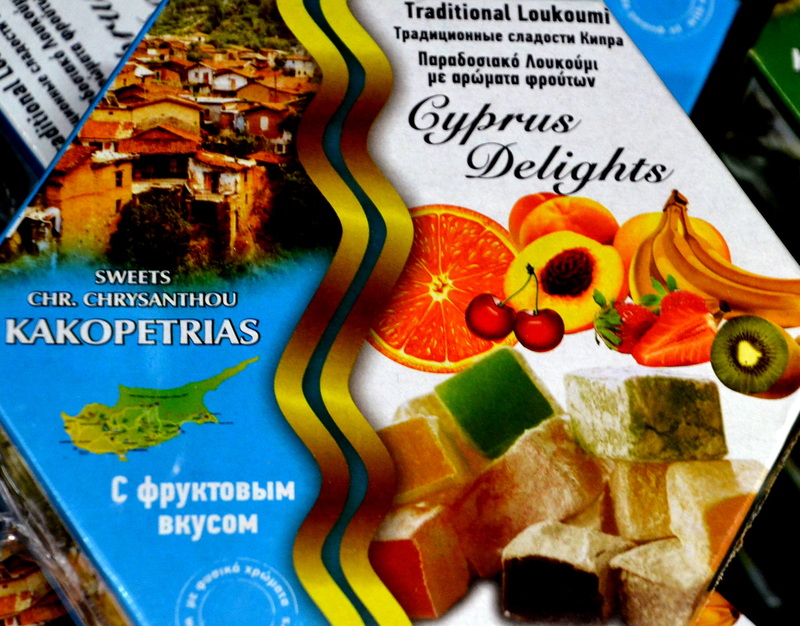 Making Cyprus Delight candies for sale is Anthoula Gabriel who gave us a tour of her workshop. 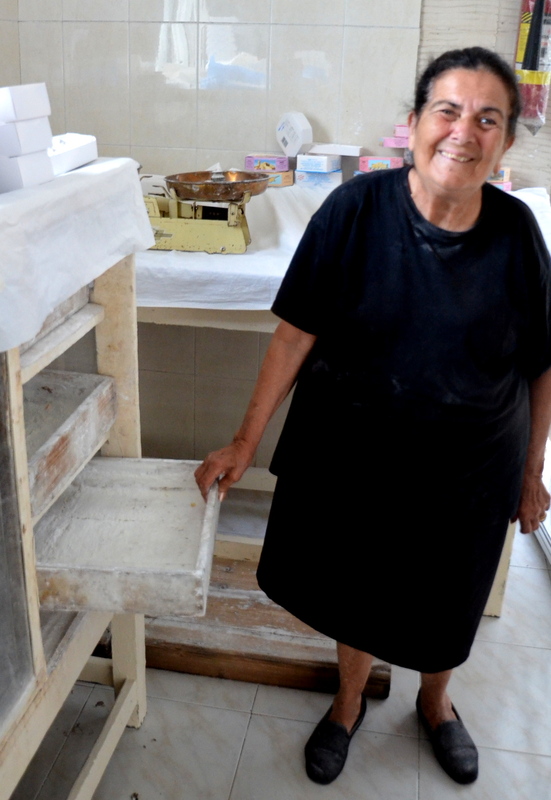 She makes and sells thousands of the jellied candies covered in powdered sugar every day. 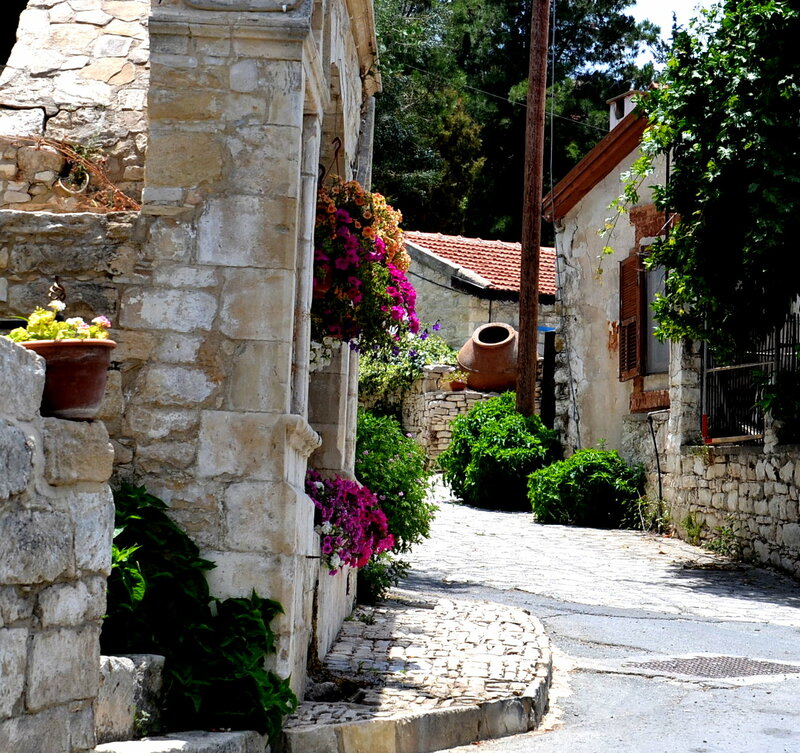 Artists abound in Cyprus capturing the gorgeous landscapes, scenes, donkeys and people of the villages. 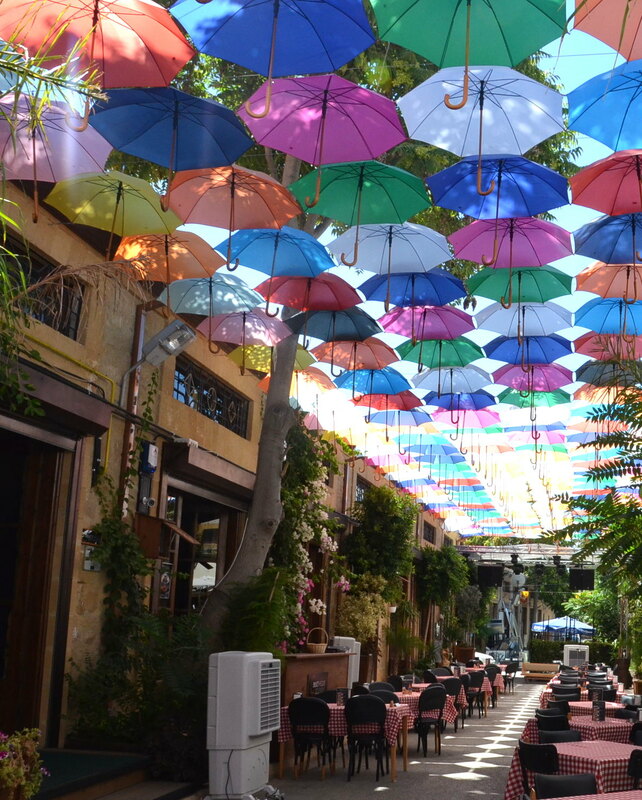 In Lania, this artist has painted many scenes of Cyprus all of his life. 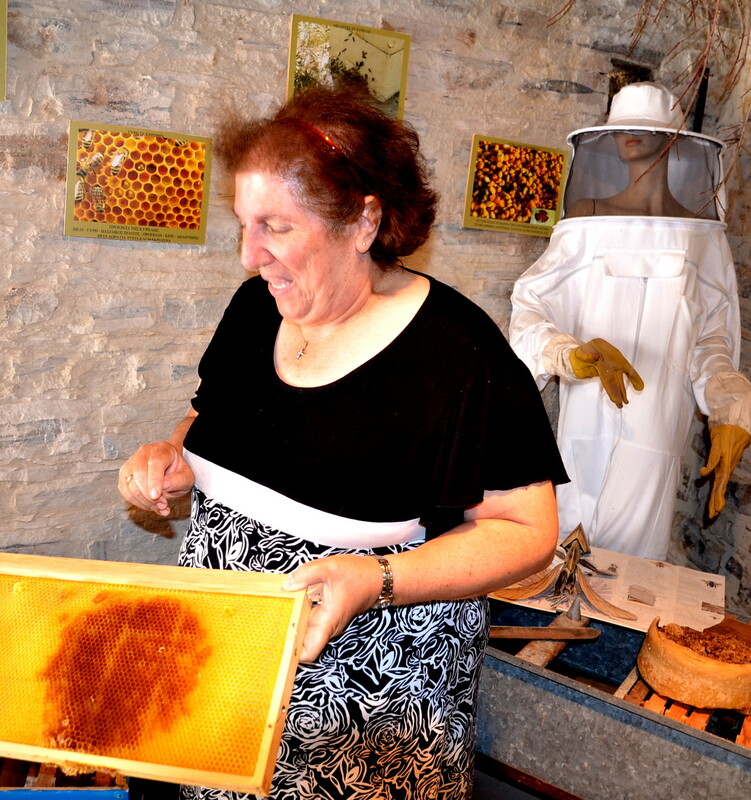 The Bee lady of Kato Drys, Elli Konioti, has been processing the bee’s honey for years and she showed us how she does it now and the way it was done in her Bee Museum full of the old equipment. Oh yes, she also sells honey. 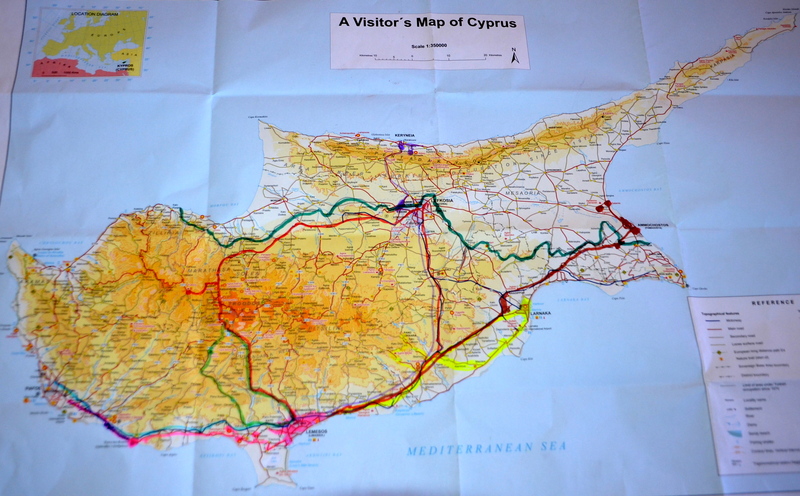 Taking us around Cyprus was Maria Ioannou, our outstanding free lance and thoroughly knowledgeable guide and native of Cyprus. 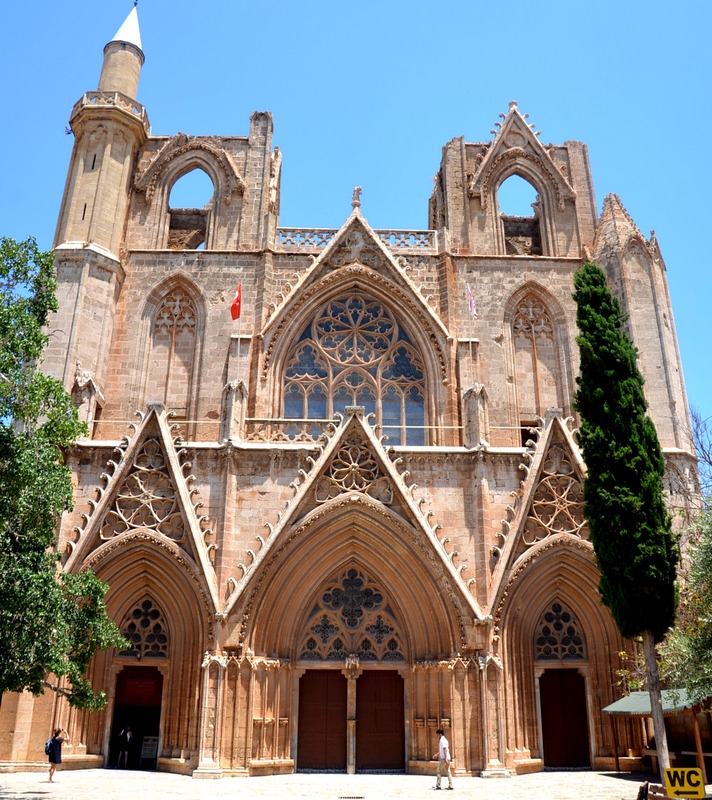 And this wonderful tour was arranged by Korona Tours of Cyprus and Bestway Tours and Safaris of Canada. 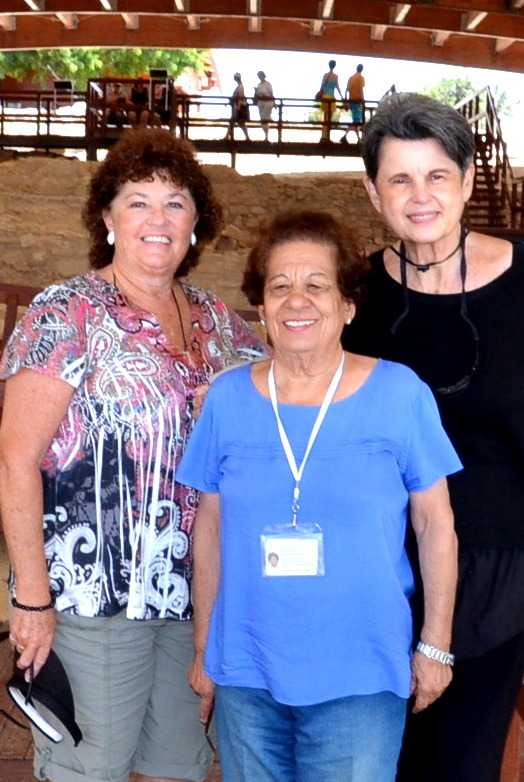 Here we are with Maria (center) Sharon and me at the House of Dionysus. 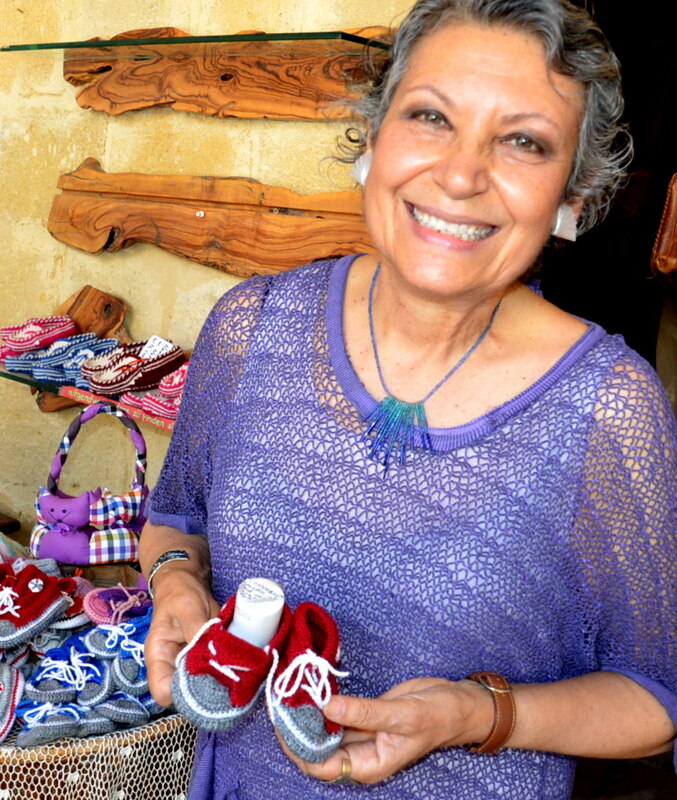 Maria lost her home and everything in it near Famagusta when she fled from the invading Turks in 1974. She and her family only had time to get out with their lives and the clothes on their back. She thought she would return to her home soon after the fighting. 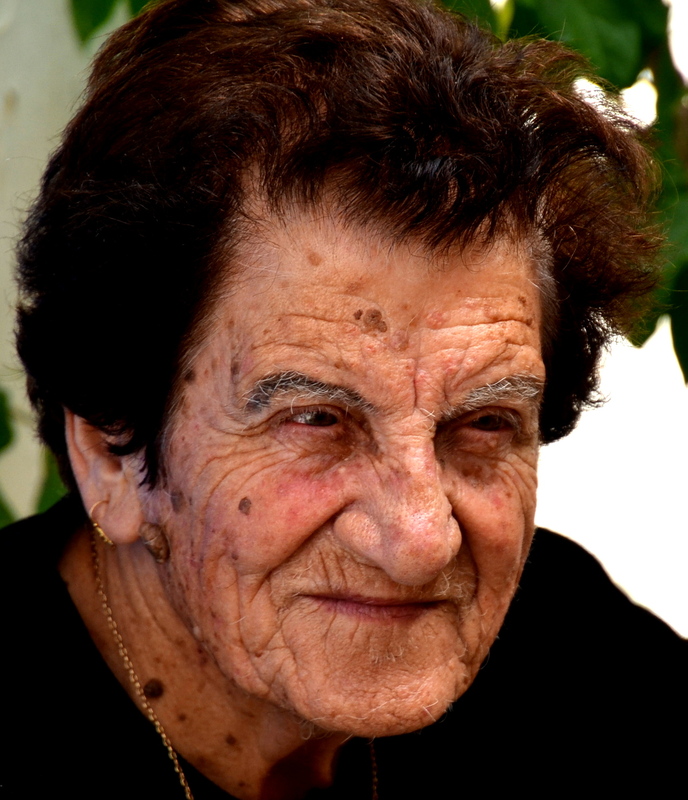 Now 41 years later, she still can’t return as the Turks moved someone else in her home where they have remained for all of these years. Driving us everywhere carefully was Theodoros Kyriakou, our fun, helpful and outstanding driver. 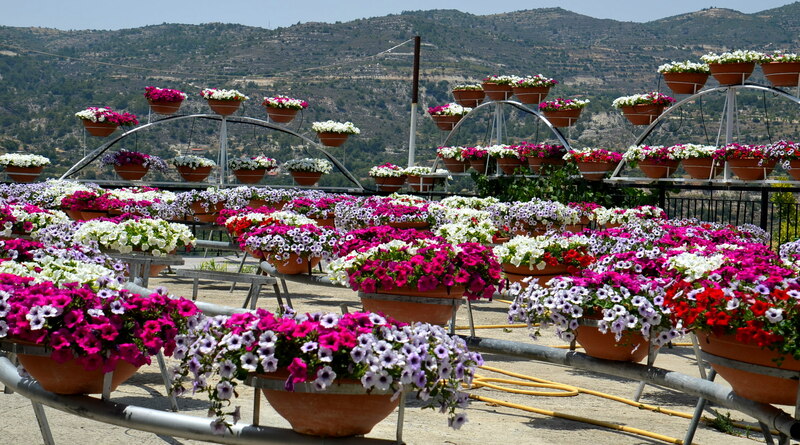 Theo and Maria are available to give tours anytime by emailing Maria at marianeioannou@cytanet.com.cy. 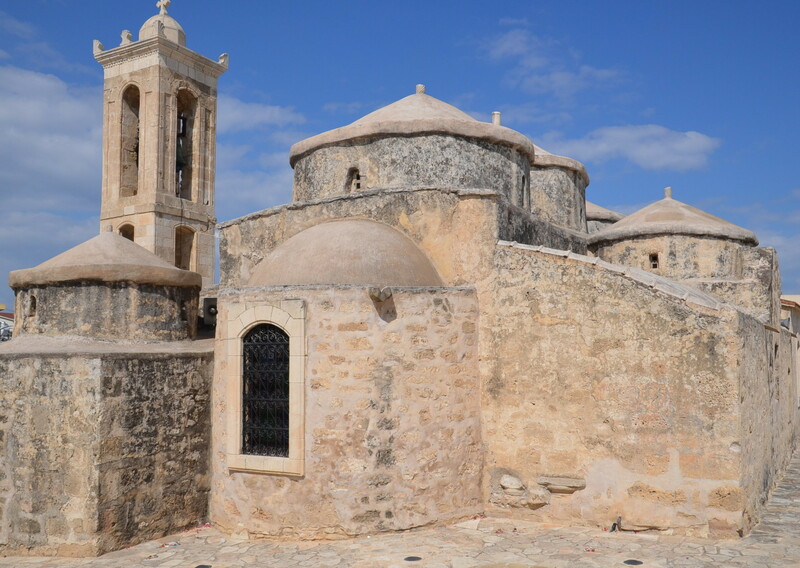 We felt like we were part of their families and their island by the time the trip was over as we visited their many friends in many professions that gave us the personable side of Cyprus. 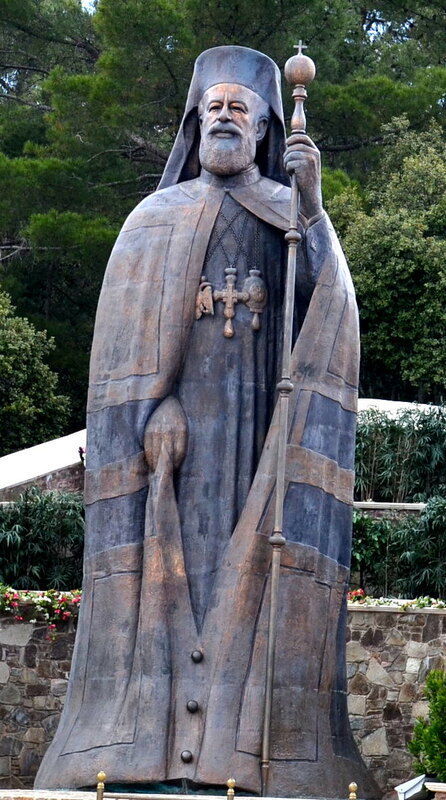 Another sculpture of Makarios was carved out of this huge stone and stands in Paphos. 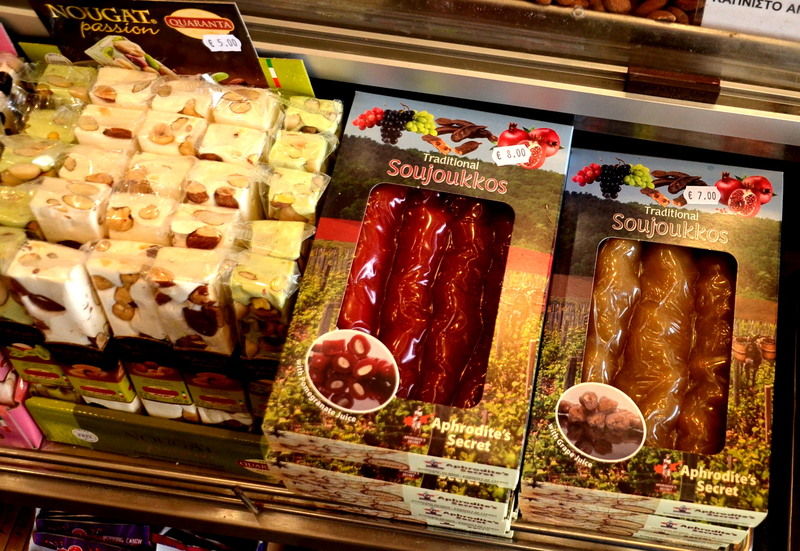 Delicious candies, olive oil, olives and sweet treats were available everywhere we visited in Cyprus for Cypriots and visitors to enjoy and we enjoyed many of them. 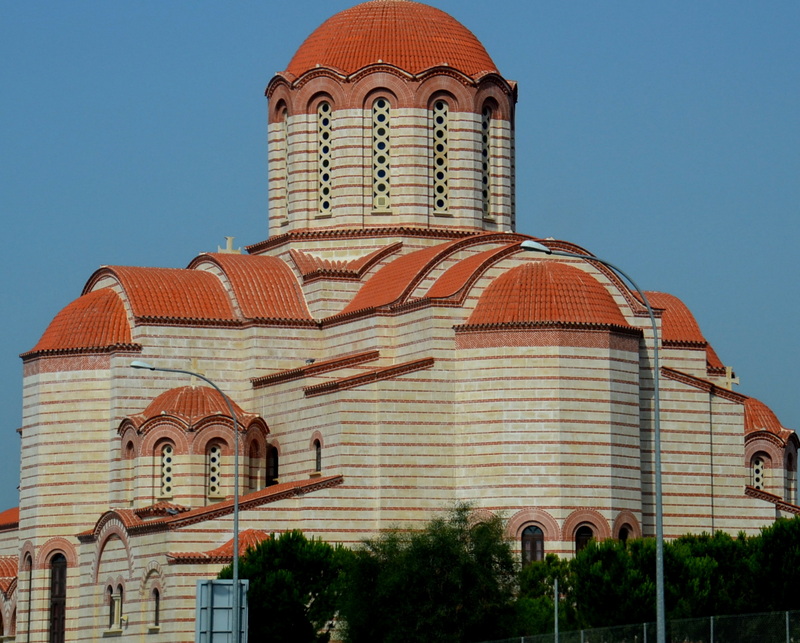 Classic Greek Orthodox churches stood gloriously in the center of each village in Cyprus and each was outstanding and adorned inside with frescoes or prints of religious icons. 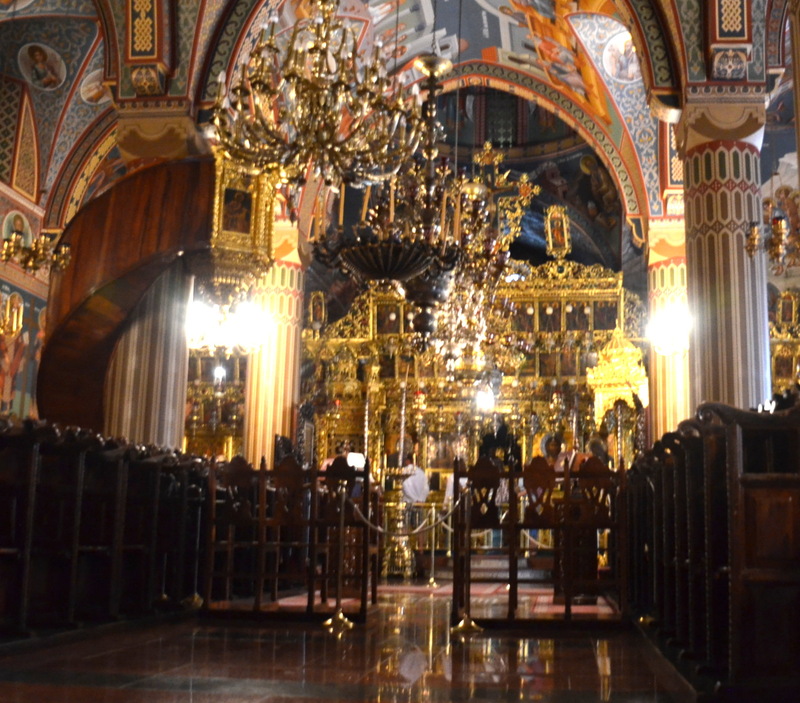 Each contained priceless relics for all to see. 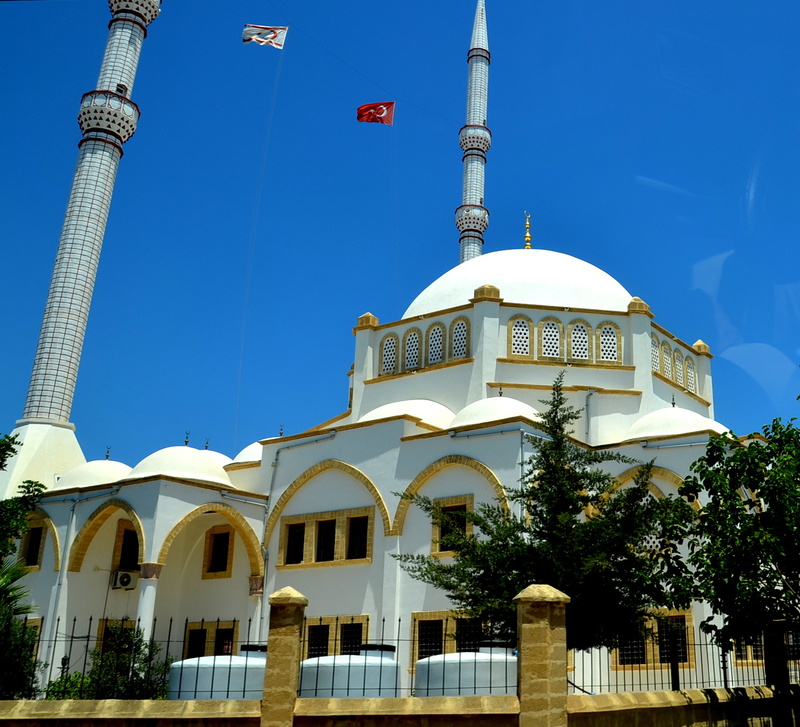 Beautiful mosques were all over the island and we visited 2 of them, Selimiye Mosque in Nicosia and Lala Moustafa Pashia Mosque in Famagusta. 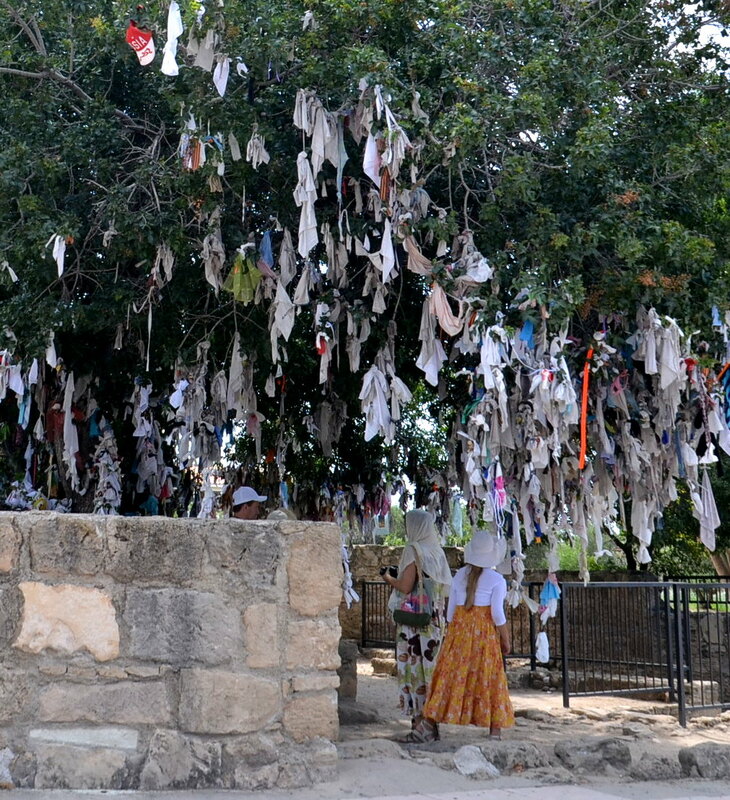 The wishing tree in Paphos provides a place for citizens to tie a white handkerchief or cloth on the wishing tree. 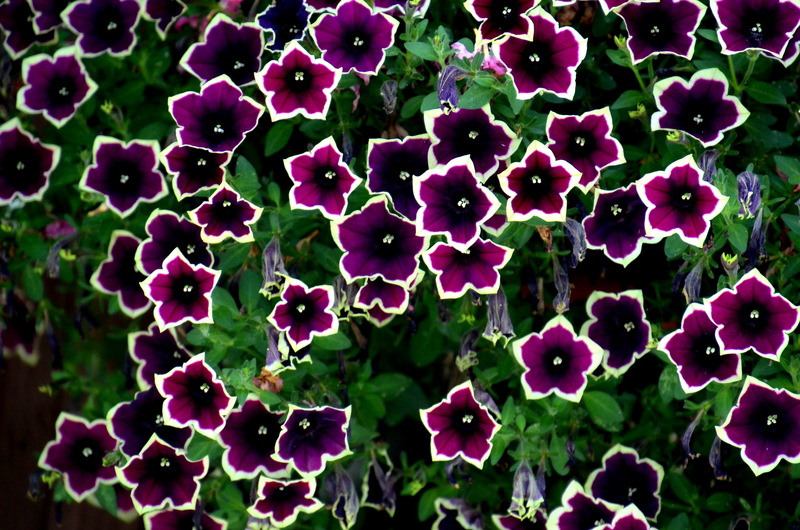 Legend has it that if you make a wish, the dream will come true. 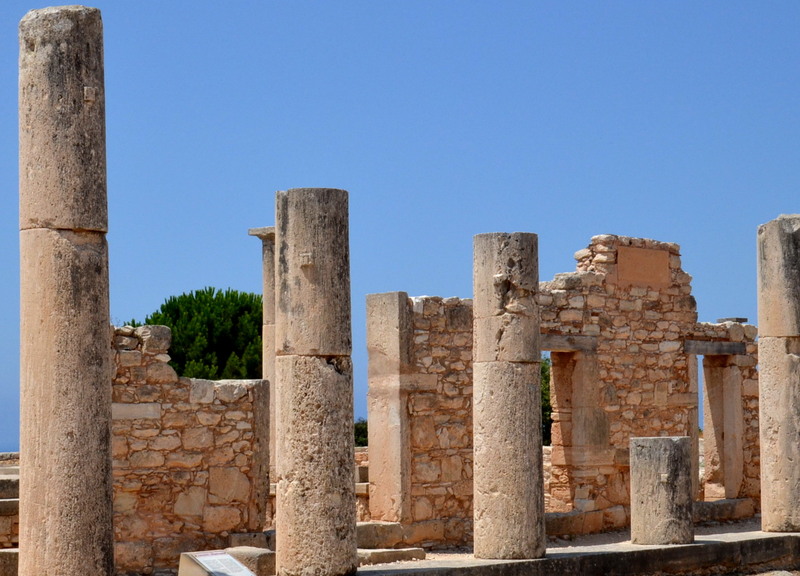 The Temple of Apollo is located near the ancient town of Courion. 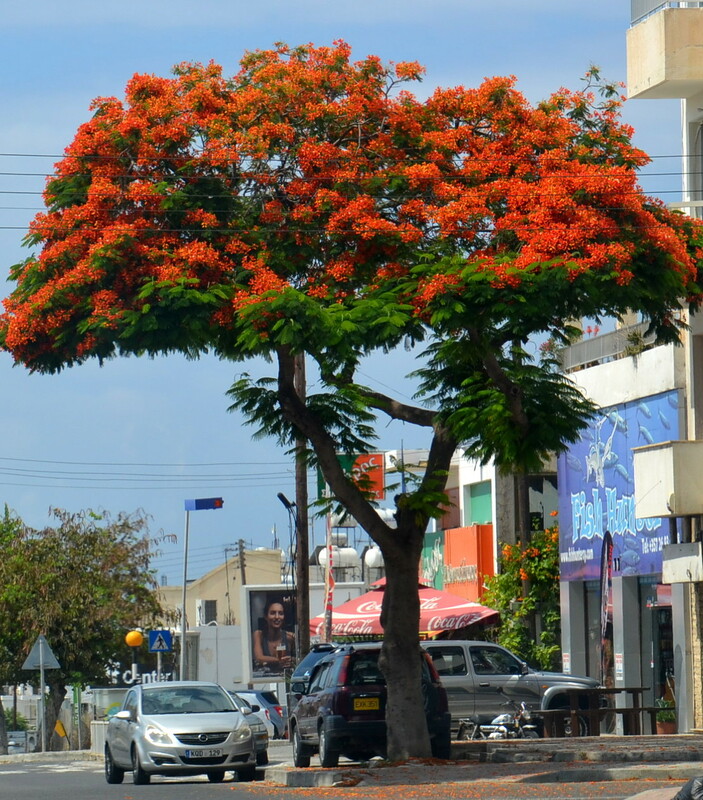 It was one of the main centers of ancient Cyprus where Apollo was worshipped as god of the woodlands. 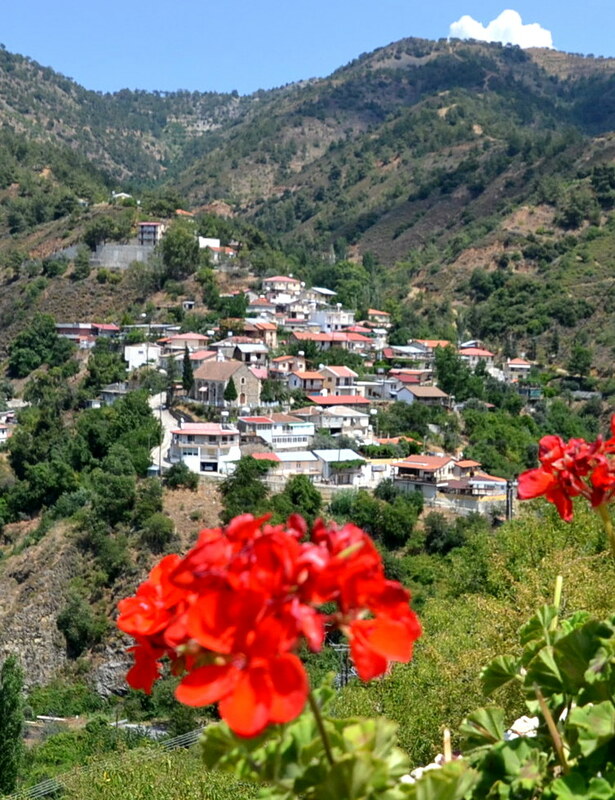 Cyprus is renown as the birthplace of Aphrodite, the goddess of love and beauty. 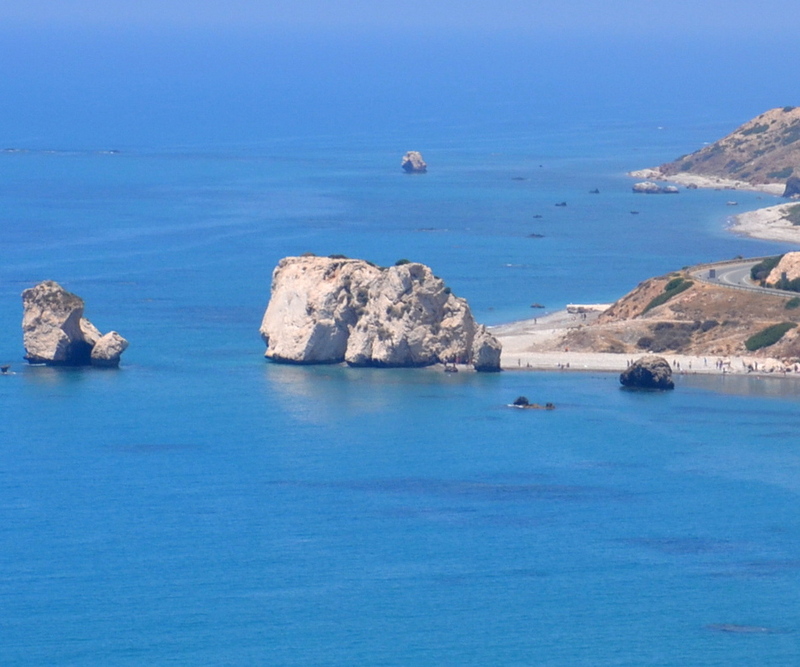 The “Petra tou Romiou” (the Rock of the Greek) area is one of the most beautiful coastlines in Cyprus, where, according to mythology, Aphrodite rose from the waves. The Rock is associated with the legendary hero, Digenis Akritas, who, according to legend, heaved a huge rock and tossed it into the sea. 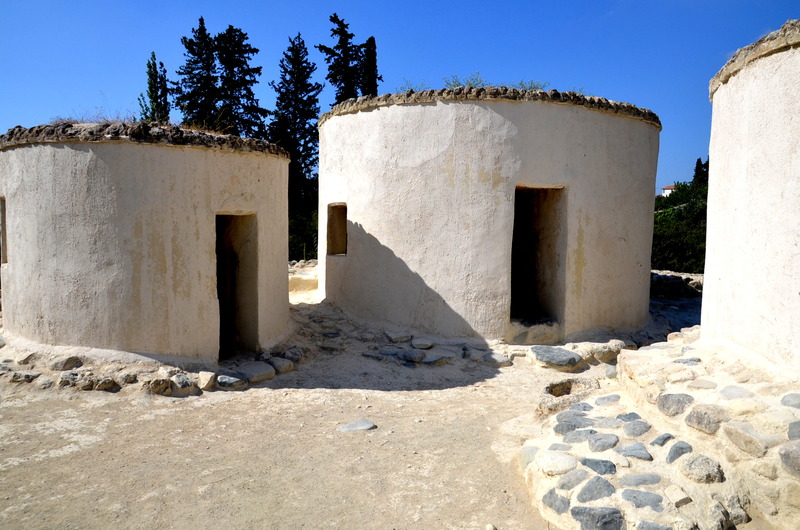 The original settlement of Cyprus, a UNESCO World Heritage site, Chirokitia Neolithic Settlement was 7000-4000 B.C. and the recreation of the original homes sits near the site. 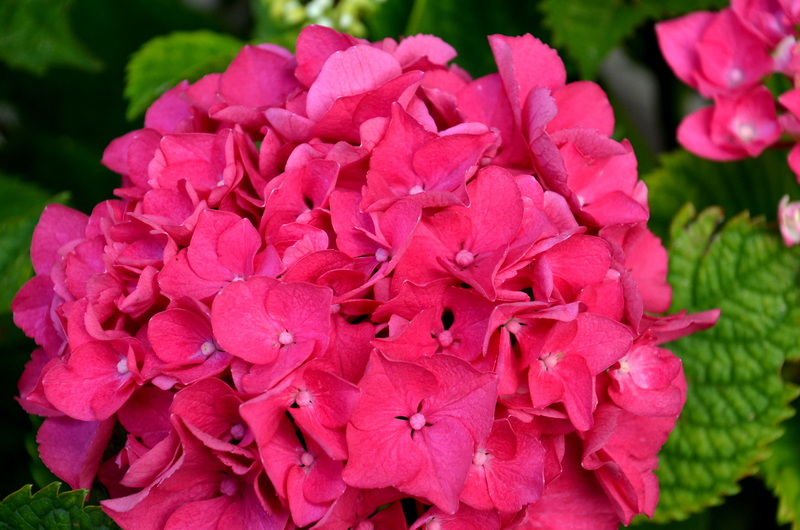 Cyprus was an education, an adventure and a delight to visit, especially in the late spring/early summer when all the flowers and blooms are showing their glory to us. 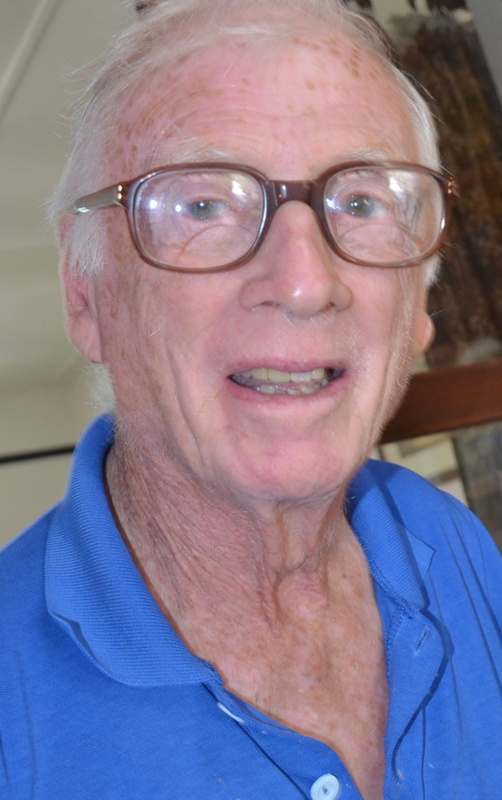 And the people are the friendliest, most charming and delightful to visit year round.